Since 1834, when Father Timothy O’Brien and the Sisters of Charity founded St. Joseph’s Academy, thousands of dedicated educators have made sacrificial contributions to academic excellence in the Catholic tradition throughout Virginia. The Catholic Schools of the Diocese of Richmond, with over 10,000 students, proudly carry on that tradition. The McMahon Parater Scholarship Foundation was established in 2008 as a 501(c)3 organization to sustain and ensure the future of Catholic schools in the Diocese of Richmond. 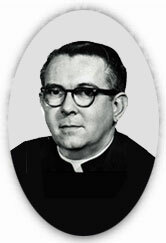 The Foundation began with an endowment provided by Bishop Francis X. DiLorenzo. The Foundation is named for two individuals who attended Catholic schools and were of vital importance to the Catholic Diocese of Richmond. Ordained to the priesthood of the Diocese of Richmond in 1950 and began his ministry in remote areas of the diocese using the diocesan mission trailer. Served as the founding pastor of St. Augustine’s Church in Chesterfield County; later appointed pastor of St. Patrick’s Church where he chose not to receive a salary. Served in other roles including diocesan director of Catholic Charities, moderator of the Catholic Interracial Council during the civil rights movement, vice president of the Richmond Community Senior Center, board member of the Richmond Chaplaincy Association, Seton House and St. Joseph’s Villa. Prior to his death in 1982, Monsignor McMahon started an endowment fund to help fund Catholic schools. During his studies for the priesthood, he decided to forego his desire for monastic life in favor of direct service to the people of God in his native Virginia. 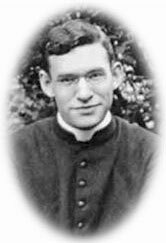 Sent to study at the Pontifical North American College in Rome in 1919. Developed rheumatic fever and died on February 7, 1920. Recognized for the remarkable impression he made on so many people during his brief life. In October 2001, the Vatican granted Bishop Walter F. Sullivan permission to go forward with the canonization process.